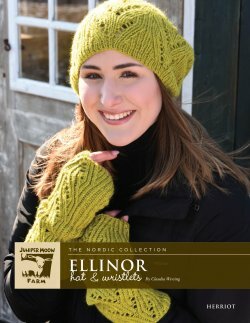 Check out some of the garments & designs found in Herriot - Ellinor Hat & Wristlets. FINISHED MEASUREMENTS Hat To fit head circumference: 22”/56cm. Length: 10¾“/27cm. Wristlets Length: 11¾”/30cm.